Early in 2017, I visited Sri Lanka with a friend. 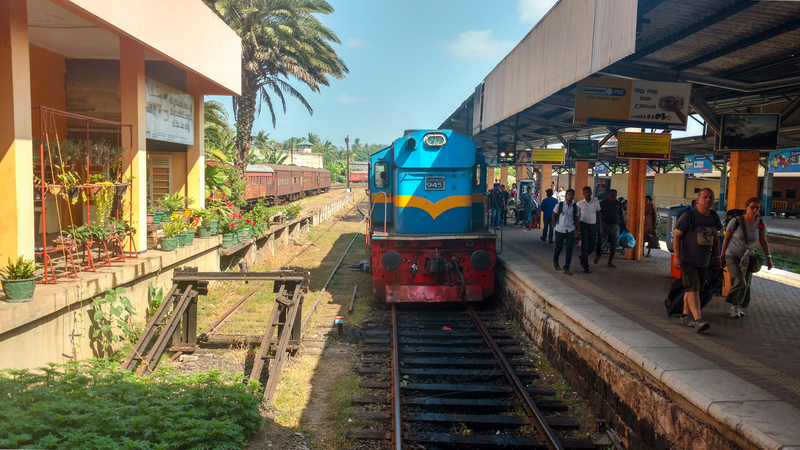 Apart from checking out major tourist attractions on the East and South coast, we also made it a point to ride as many trains in Sri Lanka as we could. Not only were they a cost effective mode of transport, they also allowed us to explore the country’s natural beauty from the comfort of our coaches. 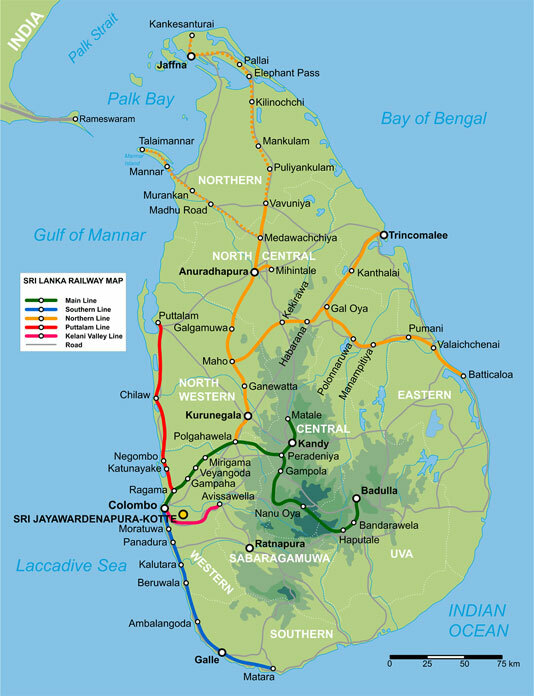 The Sri Lankan Railway network was primarily built by the British in the late 19th and early 20th centuries. Built mostly on the Broad Gauge 1676mm, the lines radiate from Colombo Fort, its headquarters to the south, north and east via the central highlands. From Colombo, we headed down south along the coast to Galle. This is one of the prettiest railway lines in the world, and the train at times is only a few meters from the water’s edge. This proximity caused it dearly in 2004, when the deadly Indian Ocean tsunami struck a crowded train near Hikkaduwa, killing more than 1500 people. The line was rebuilt using Indian assistance, and been doubled. Today, it is a thriving network, with the heaviest traffic being on the Colombo – Panadura section. 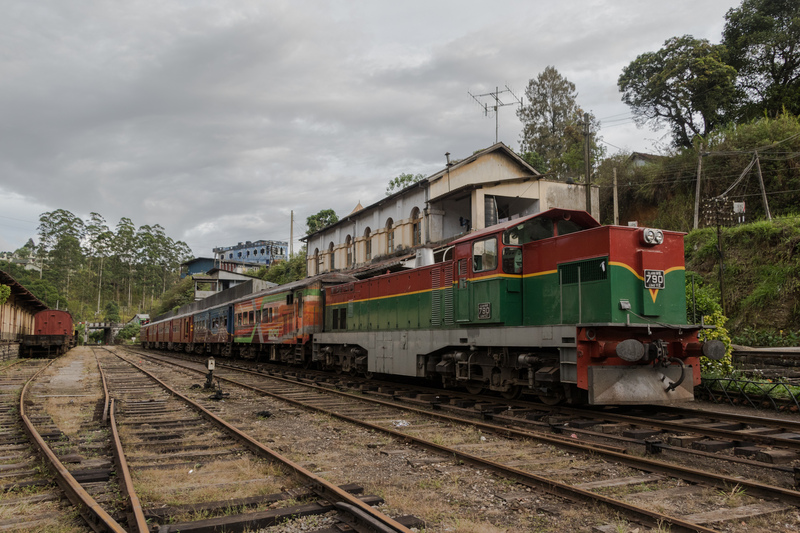 The Sri Lankan Railways deploy a variety of rolling stock including American, German and Indian built diesel locomotives, and Diesel Multiple Unit trainsets built in Korea, India and China. The coastal line currently extends up to Matara, with extensions planned further down the coast. 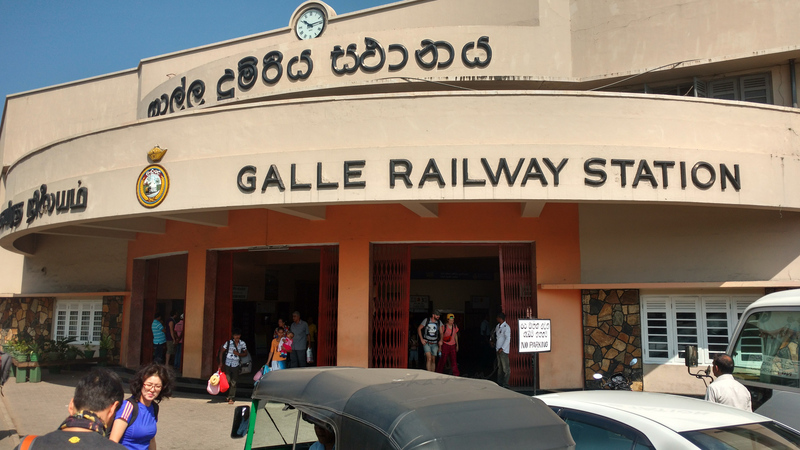 We got off at Galle, where there is a mandatory reversal for the trains. A familiar sight for Indian railfans. DLW built WDM3 operating as M10 class on SLR at Galle. After spending a few days on the coast, we headed by road to the central highlands. 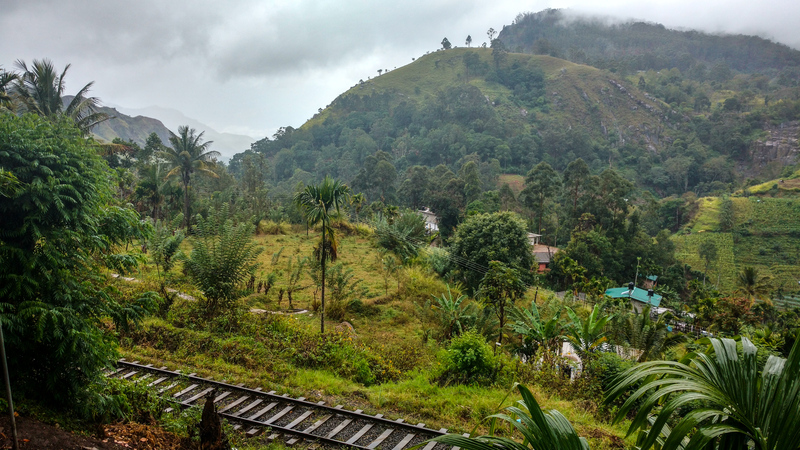 There is no railway line that connects the highlands to the southern coast of Lanka. One has to travel via Colombo, to get here. While the line ends at Haputale, we made our base at the tea estate town of Ella (Elle). 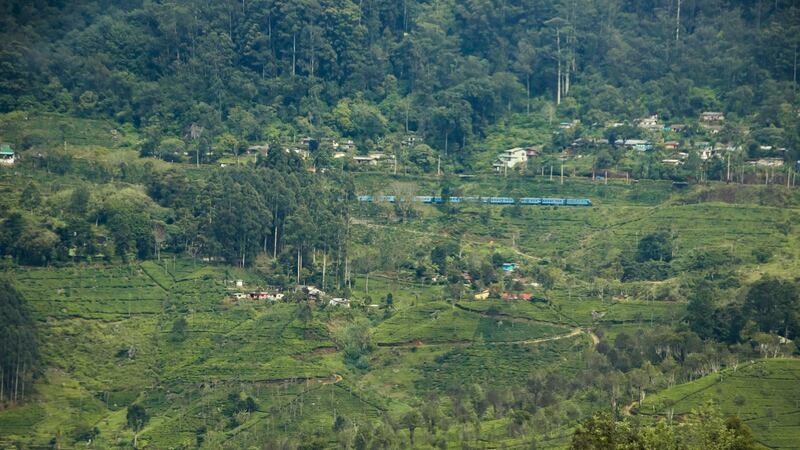 View from our mountain cabin, overlooking the railway line to Haputale and the Ella Gap. 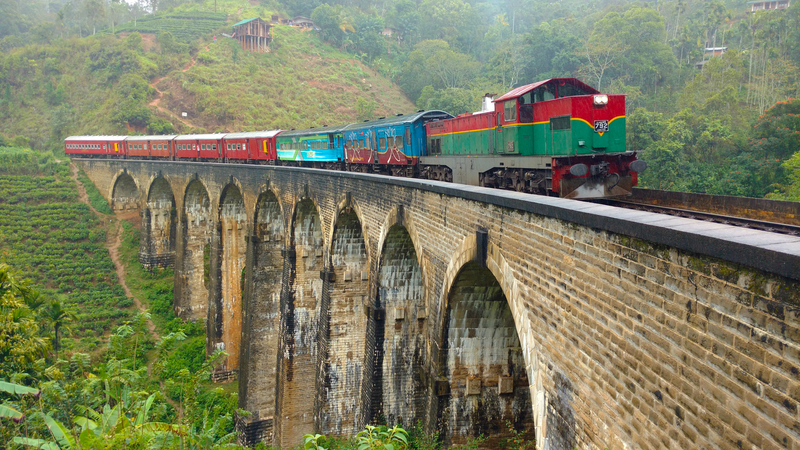 The Haputale – Nanu Oya – Kandy section is the crown jewel of Sri Lankan Railways. It is also known locally as The Main Line, as it was the biggest infrastructure project undertaken by the British. 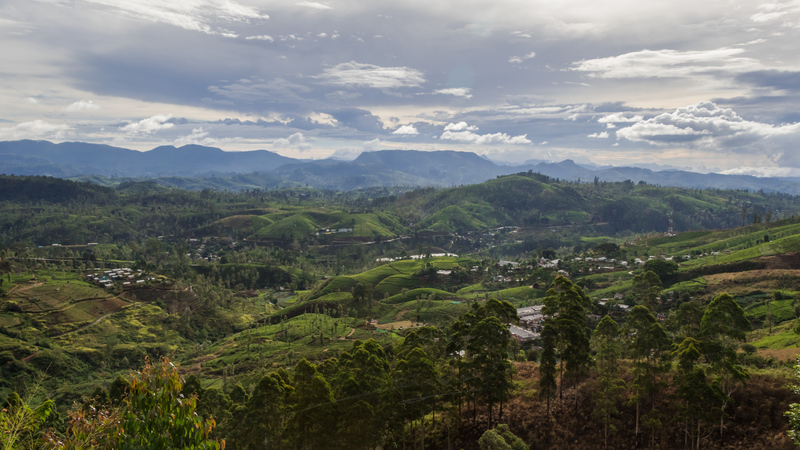 From Colombo, the line climbs its way to Peradiniya (junction for Kandy), then onwards into the tea country around Nuwara Eliya, Badulla and Ella, ending at Haputale. In fact, the line was primarily laid so that the tea from the hills could be quickly transported to the ports, and then onward to England. To this day, tea remains Sri Lanka’s principal export commodity. A glorious view of the tea country along The Main Line. The British adopted a completely different approach to track laying in Sri Lanka. In India, tracks in the hills were laid using the Meter (1000mm) and Narrow (762mm/610mm) gauges to avoid costs and ease construction. In Sri Lanka they went the whole hog and built the entire line on Broad Gauge. And this was in the late 19th century! A Haputale – Colombo service halts at Talawakele. A mix of loco hauled and DMU trainset operated trains run on the line. Given the ruling gradient of 1:44, helper (banker) locos are used for longer trains. Duties on this line are almost exclusively handled by the Thyssen-Henschel built M6 class 1650hp locos. Of late, Chinese built S12 DMUs have been introduced, designed to tackle heavy grades. A Chinese built S12 class DMU threading its way through the tea gardens of Haputale. The line passes through some spectacular countryside, before reaching its summit near Pattipola at 1891 m above sea level. Some stations are built on spectacular ridges, where one can see tea gardens on one side, and on a good day even the distant coast. 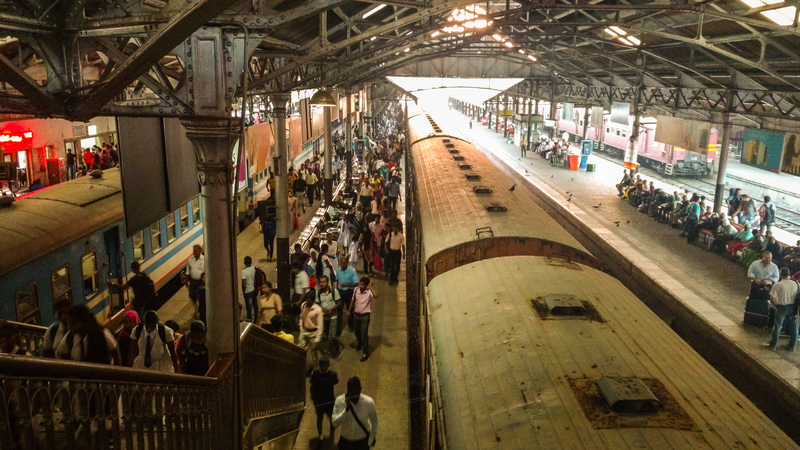 Idalgashina – perhaps the most spectacular railway station in all of Sri Lanka. For railway buffs, it just gets better and better. At Demodara, the line loops around itself to descend sharply in a short distance. This is perhaps the only known 360 degree railway loop in the sub-continent on the broad gauge. Unfortunately for us, the incessant rain and low clouds denied us any chance to catch a glimpse of the loop. And then there is the amazing 9 arch bridge near Demodara. The Demodara 9 arch bridge. The most iconic image of Sri Lankan Railways. The only other line we had a chance to explore was the Batticaloa – Colombo east coast line. We boarded the Night Mail from Batti to Colombo Fort from the heritage town of Polonnaruwa. 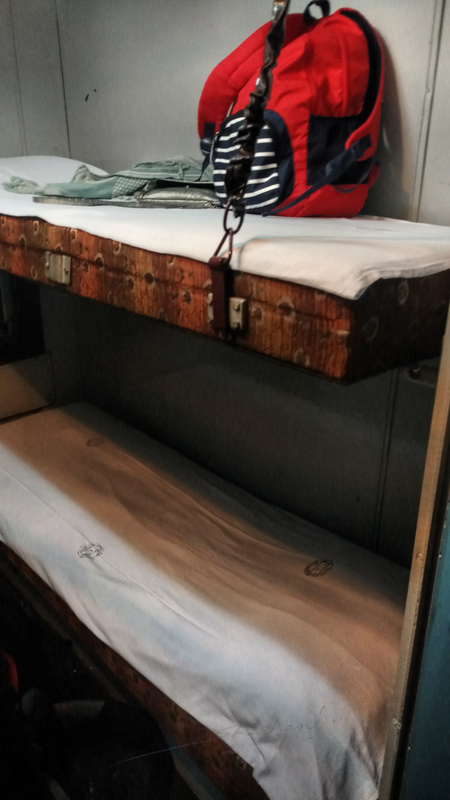 This is one of the few trains on Sri Lankan Railways to carry sleeper accommodation. We were booked in the First Class sleepers. These were two bunk private cabins with a common toilet set between two cabins, accessible from both ends. They were pretty cramped and the absence of window bars meant, one had to sleep with the windows shut. Fine in the winters, but a nightmare in the summers. All said and done, we had one of the most wonderful set of journeys on trains across Sri Lanka. The people are friendly and the landscape and food is just brilliant. Sharing a video compilation of our journeys on board the Sri Lankan Railways. Leaving you with another set of images from this wonderful little system. Access – Colombo is the main international airport, with direct flights from India, SE Asia, Middle East and Europe. 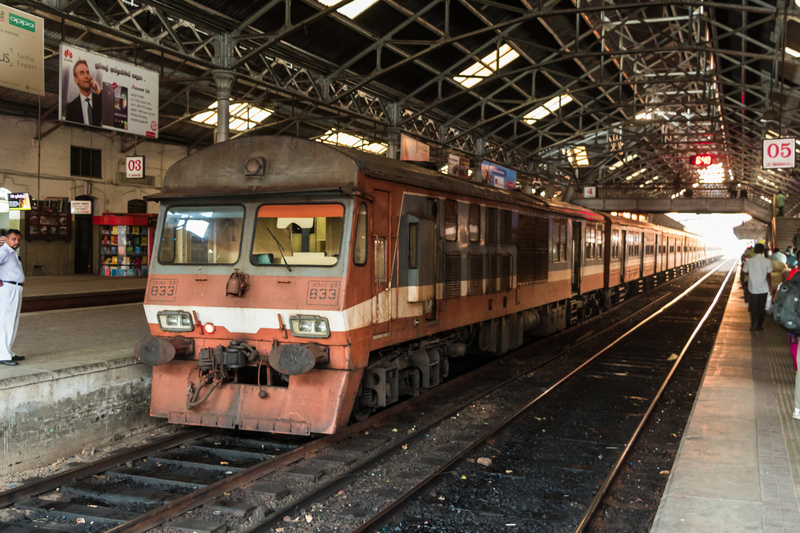 Eat / Drink – If you are travelling on board Sri Lankan trains – make sure you carry your own supply of food and water. Very little by way of catering en route. Other Tips – On the coastal train, make sure you are on the right hand side while heading south. On the mountain line, views are brilliant on either side. But make sure you have a wide window to your selves. Loved this slice of history. I follow your website closely. Thanks for the remarkable work. Probably the best coverage and images of SL railways ever. Beautifully captured on the camera and a very informative account of the SL Railways.